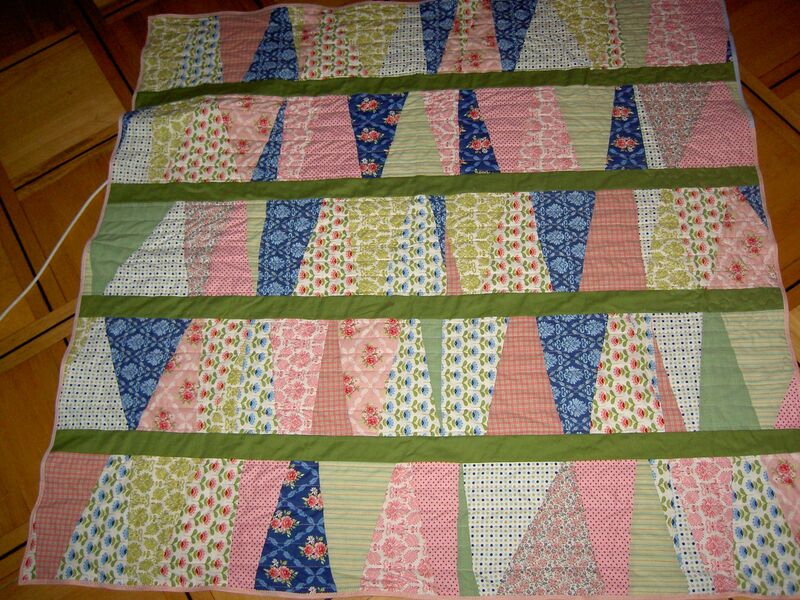 Back from my quilting rut, finally, after an end of term of usual busy-ness. Having arrived at the day I had decided would mark the beginning of my holidays, I had to make a very important cake for Miss R’s 6th birthday tomorrow. 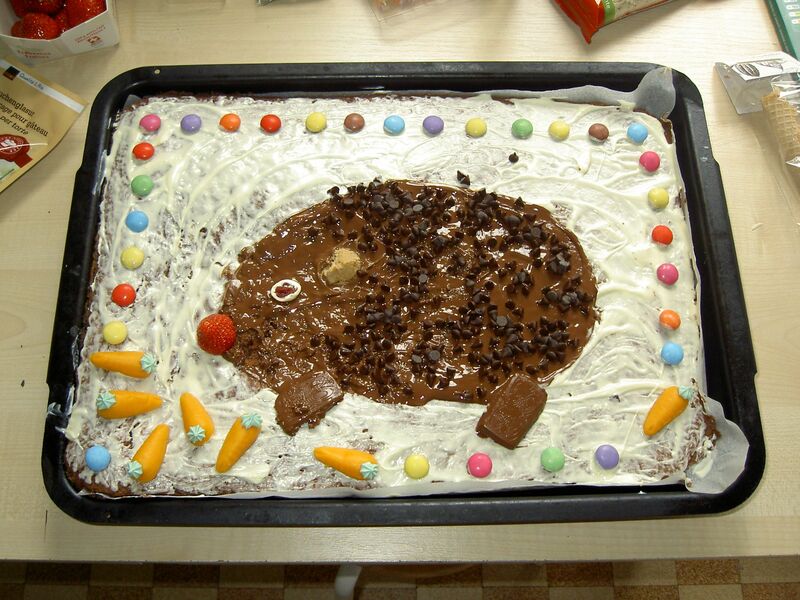 This, in case you haven’t guessed, is a guinea pig cake… even if it looks like an obese hedgehog. I have many talents (ha!) but decorating cakes isn’t one of them! Then, as chocolate is lovely, but doesn’t last that long, I finished a birthday quilt that had been left over from the delightful quilting retreat I attended earlier in the year (There is another edition planned for the autumn! Sign up quickly here!). Hence the title of this post: never, ever, ever use anything other than Quilter’s Dream, even when the wonderful Elita sells you something that looks even more exciting. My machine hated it! The thread kept breaking, and even after a needle change it kept missing stitches and then went totally bananas. I think it’s a sort of super-duper polyester, but that is certainly the last time I use it. So I gave up on the free-motion quilting and just did straight lines, about one inch apart. It was 10pm before a birthday after all… I’ll unpick the corner of stippling some other time. I can’t face it now! 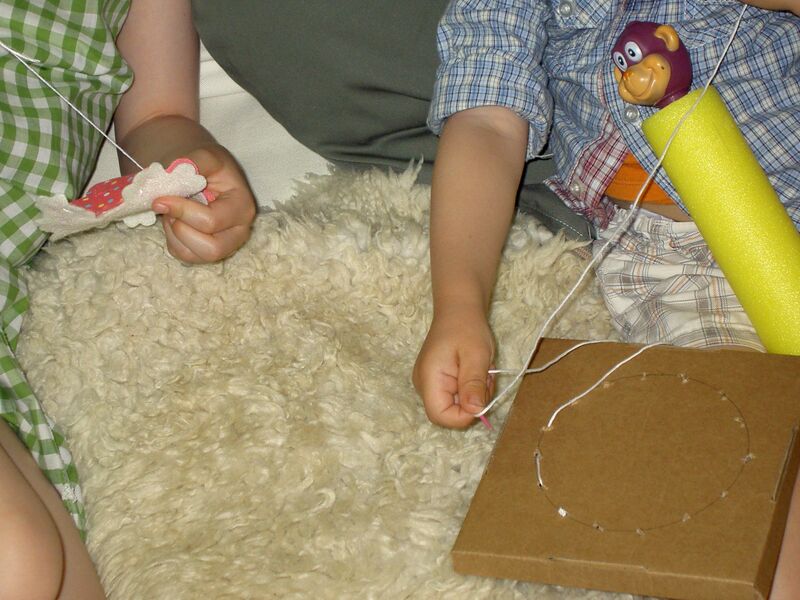 There is hope for crafting after all, as my delightful little sweeties both seem interested in sewing. I snapped the sweetest shots the other day. Here is a peek of those happy moment. (And only a peek because I don’t really think pasting pictures of other people who will one day be old enough to care all over the internet is terribly sensible).